One day in 2008 an old friend of mine came to me and said, "I want to make a film about Peter Brötzmann, do you want to be part of it?" What a question! 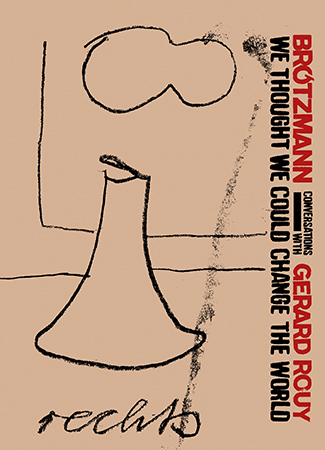 He didn't know that much about (free) jazz and freely improvised music but from the late 70s on, he had been very much attracted — as we all were — by the graphic work of most of the Free Music Production records, a lot of them being worked out by Brötzmann. 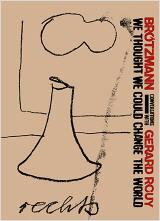 He also knew that I had been one of Brötzmann"s great fans and I had been acquainted to him for a very long time. "Soldier of the road" was shot between November 2008 and August 2009. We went to different venues where Brötzmann was playing between those dates. We also had four long interviews with Brötzmann in his home in Wuppertal. Interviews of other people were made at the same time with Jost Gebers, Evan Parker, Fred Van Hove, Han Bennink, Fred Frith, Michael Wertmüller. And others with Joe McPhee, Conny and Johannes Bauer, Michael Zerang and Paal Nilssen-Love, Ken Vandermark and Mats Gustafsson, that were not used in the movie. Bernard Josse suggested me to ask Brötzmann some specific questions, some of them I did, some others I didn't. But I felt frustrated about the fantastic amount of information that Brötzmann gave us about the history of this music that would not going to be used in that 90 minutes long film — we can easily understand why. That's how I started to realize that not using all that information would be a great loss. All interviews appearing happened either during the shooting period of the movie, or have been published by the French Jazz Magazine during the last forty years, or were never published.